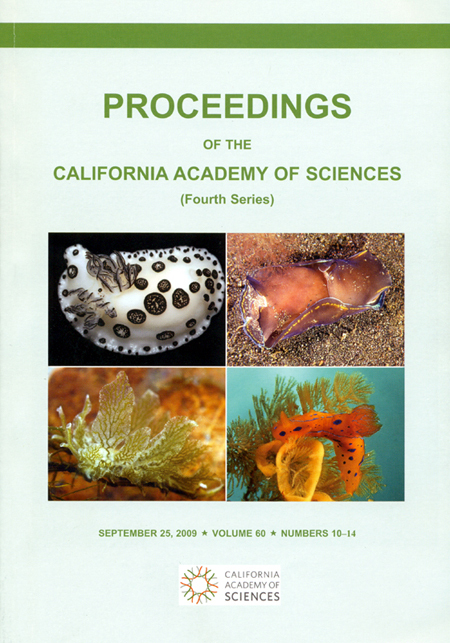 Proceedings of the California Academy of Sciences 60 (10): 175-422. 247 pages - This monumental contribution discusses the evolution of chemical metabolites in sea slugs. This monograph discusses both the offense and defensive scenarios that repugnant chemicals in these animals lives. An absoulte must for the serious opisthobranchologist. Phenomenal. Softcover, 128 color photos, 675 molecular drawings. $35.00 USD, $4.80 shipping in US, $10.00 Foriegn. © The Slug Site, Michael D. Miller 2009 All Rights Reserved.